Learning about the greeting card industry is essential for someone thinking about making and selling their own handmade greeting cards. Although someone who is just selling the odd card or two to family and friends might not need to know about industry trends, anyone who is serious about starting and growing a handmade card business should carefully research the market before launching. Knowing more about the total greeting card market can better help a new business owner build and develop a range of cards. While this information is provided by the Greeting Card Association and relates to the card market in the United States, many of the trends will hold true in other countries. 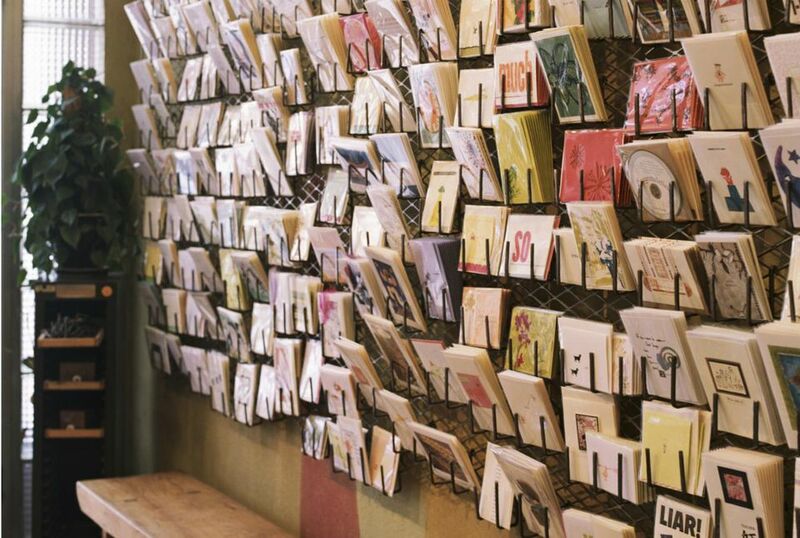 Seven billion greeting cards are purchased every year. Annual retail sales of greeting cards are estimated at more than $7.5 billion. Nine out of every ten households buy greeting cards each year. The average household buys thirty individual greeting cards a year. Of course, this is an average figure, and there will be extremes at either end of the scale. However, if this figure is multiplied through families and friends, it will give an idea of the size of the greeting card market that even the most unambitious card maker could aim for. According to the Greeting Card Association, women account for eighty percent of greeting card sales. This means that four out of five purchases are going to be made by a woman. Therefore regardless of who the end recipient of the card is, the key customer target is female. When preparing cards for sale, remember that even male themed cards are likely to be purchased by a woman. When men buy cards they are likely to buy cards for special occasions and generally only for their partner and family. Therefore, planning products and marketing campaigns to target male shoppers and help them with their purchase decision should help to generate sales. A greeting card can cost anything from 50 cents to 10 dollars. The average price of a greeting card falls between the $2 – $4 price band. This is an interesting figure as it shows what the market accepts as a fair price for a card. The Greeting Card Association also report that, "Cards featuring special techniques, intricate designs, and new technologies are at the top of the price scale." This would suggest that handmade cards that feature lots of detail and unique designs should be able to command higher prices. There are two categories of greeting cards. These are everyday cards and seasonal cards. The top-selling everyday card is the birthday card which accounts for over half of the total sold. This is followed by wedding and anniversary, get well and sympathy, and friendship and encouragement cards. Top selling seasonal cards are Christmas and holidays cards. These account for more than six percent of all seasonal card sales. These are followed by Valentine’s Day, Mother’s Day, Father’s Day, and Graduation cards. Again, these are average figures, therefore this might not reflect the range of handmade cards based on customer requirements. This does, however, provide a good base to plan from when starting a handmade card business. There is a significant trend towards combing high technology with greeting cards, for instance, musical cards or greeting cards that contain LED lights. People are now familiar with e-cards and these are becoming increasingly accepted. However as more greeting cards feature high-tech wizardry, so there is a growing appreciation for handmade cards. The Greeting Card Association refers to a special combination of card, artwork, and gift. This is a useful niche for the handmade card maker. If you are making quality handmade cards with lots of special details then these will be highly appreciated. This type of card will continue to grow in popularity as a balance to high-tech cards. Gathering relevant information from as many sources as possible will help entrepreneurs get a better understanding of the potential market opportunity. While facts and figures alone won't build you a sound business, they will certainly help when it comes to planning. In addition to looking at broad greeting card facts and figures, it will also be useful to undertake individual research locally. Information about the UK can be found from the Greeting Card Association. Information about Germany can be found at AV Card. Information about Australia can be found at Greeting Card Association. Information from Hallmark about the greeting card industry. Sites That Sell Handmade Goods - This is a list of websites that specialize in the sale of handmade goods. These websites offer a low-cost opportunity to reach a wide market. How to Price Handmade Cards - Learn How to Price Handmade Cards - Knowing how to price handmade cards is an essential part of starting a handmade card business. How to Make Money From Rubber Stamping - There are many opportunities for making money from rubber stamping, whether it is just a few pennies from selling on some unwanted supplies or making a full career as a designer, the possibilities are many. How to Start Selling Hand Stamped Greeting Cards - Tips to help you start selling handmade greeting cards. How to Price Handmade Cards - Pricing handmade cards is a crucial part of running a card making business. However big or small the business, getting the price right is an essential part of the mix.